The leg pieces (top, middle and foot) are ready for assembly. Before I put them together with the pegged mortise tenon, I”ll go ahead and pre-finish the parts. It”s a little easier when they are separate. I”ll apply three coats of Waterlox with sanding in between. 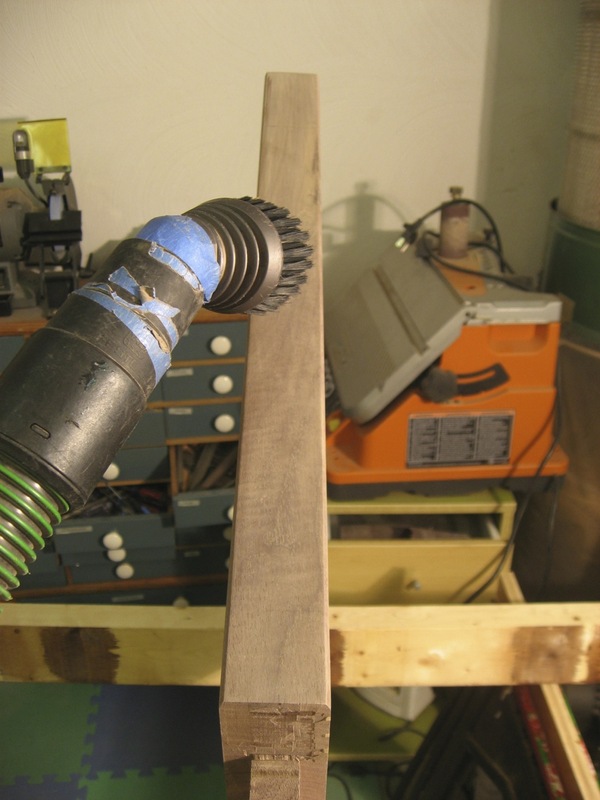 After assembly, I”ll apply maybe two more coats to the complete leg – we”ll see how it looks. 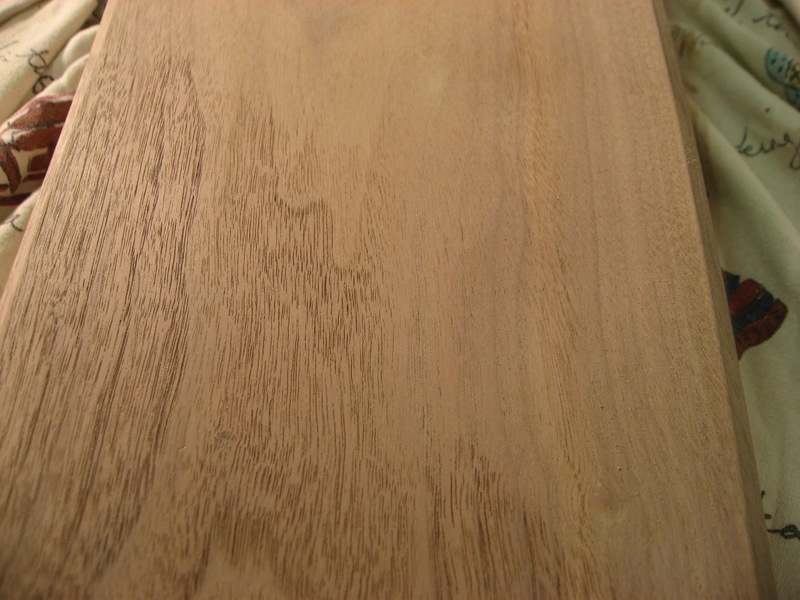 After sanding to 220, I like to remove all the dust from open-pored woods like this walnut. I”ve found a vacuum to do a great job at pulling the dust from the wood. I line up all my parts, ready to go at once. 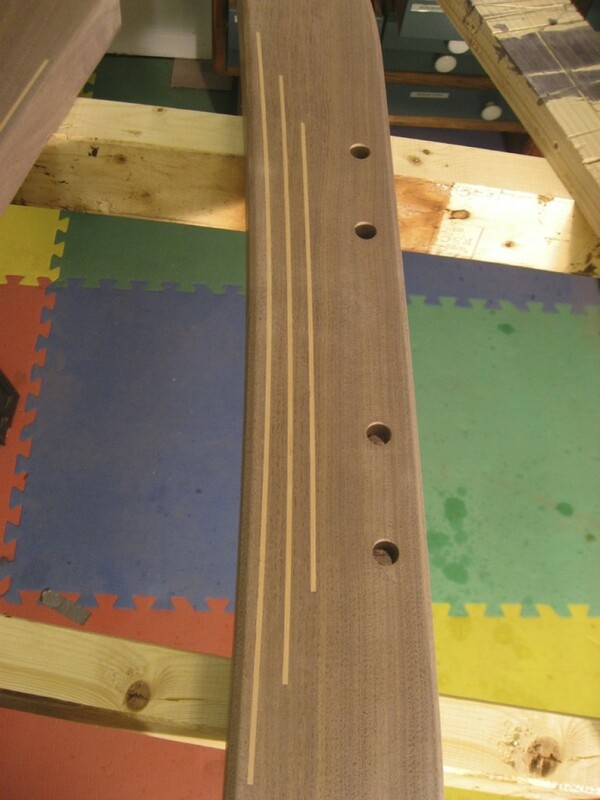 The leg footer with inlay, ready for finish. 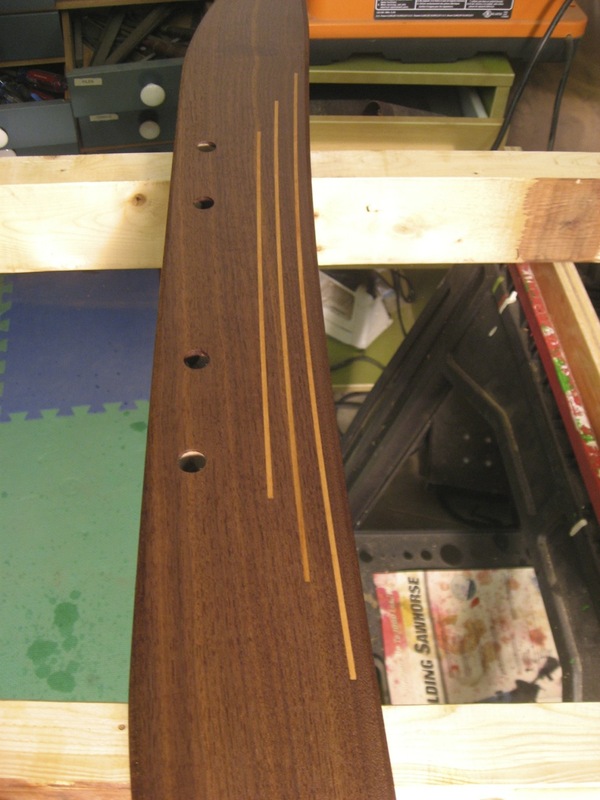 The first coat is always fun – to see how it really brings out some great color in the wood! Two more to go.